This prototype implements a direct manipulation tile scripting interface that seamlessly produces a textual program representation. 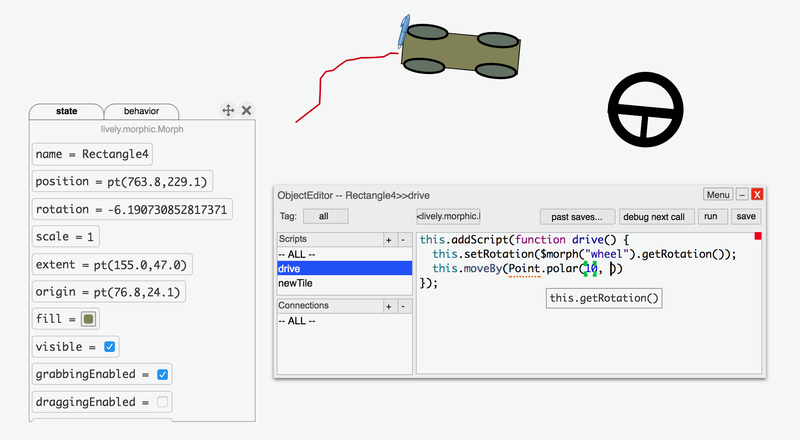 Starting from an inspector that provides access to properties and behaviors of objects, a user can assemble programs by dragging and dropping tile representations of these properties or control flow structures. The assembled textual program can be modified directly or via further drag-and-drop operations since the program, even when presented in its textual form, can be converted back into tiles using its syntax tree.